Call for 24 hour emergency vehicle towing. Looking for vehicle repair or truck tire repair services in the Suffolk, VA area? Brinkley's Wrecker Service provides the finest in vehicle repair, truck towing, truck tire repair, and more to the Suffolk, VA area. Serving Suffolk, VA, Brinkley's Wrecker Service is a high quality vehicle repair service. As a towing service, Brinkley's will be there for you when you have a break down. Brinkley's even does convenient motorcycle towing. If you have a flat tire, Brinkley's also performs truck tire repair. This is part of our emergency vehicle towing service that also includes truck towing, no matter the size. Welcome to Brinkley’s Wrecker Service, LLC located in Suffolk, VA. It is our mission at Brinkley’s to set a standard of excellence, dedicated to the highest levels of professionalism, integrity, honesty and fairness in order to establish a long term relationship with our customers as a towing service. From this we have become recognized as the premier light to heavy duty towing and repair business in Suffolk, VA. When it comes to truck tire repairs, you can trust Brinkley's Wrecker Service for timely assistance. Whether your tire has a leak or it had a blow out, our team can help. We offer cost-effective truck repairs services for clients in Suffolk, VA and the surrounding areas. If you suspect your truck tires are damaged, our experienced team is standing by to help you. Contact us today to find out more about our truck tire repair services. We Offer Emergency Vehicle Towing! 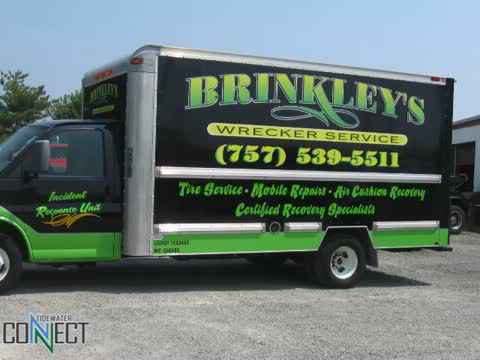 Brinkley’s Wrecker Service, LLC is owned and operated by John and Tracy Brinkley. Our services include local and long distance towing, recovery, RV and motorcycle towing, jumpstarts, tire changes, lockouts and gasoline delivery. Auto & truck Repairs including light to heavy duty are done on premise. Interstate Tractor Trailer Breakdowns are our specialty along with emergency vehicle towing. Brinkley's fleet of 7 trucks includes one medium duty wrecker, two medium duty rollbacks, two heavy duty wreckers, two service trucks and one road tractor with a landoll and reefer trailer. We are fully equipped to perform all light to heavy duty motorcycle towing and recovery, as well as repairs. John had approximately ten years of experience in the business before opening Brinkley’s Wrecker Service, LLC in 2005 as a truck tire repair business. He was formerly employed at his grandfather's automotive and wrecker service. While managing his grandfather’s business, John’s training has come from educational seminars, magazines, videos and most importantly hands on experience. John is certified in light, medium and heavy duty towing and recovery as well as hybrid vehicle awareness. He also has a Class A CDL with hazmat and tanker endorsements. John is an active member of various wrecker associations, and is constantly striving to improve the truck towing industry. Call Us Today for All Your Vehicle Repair Needs! 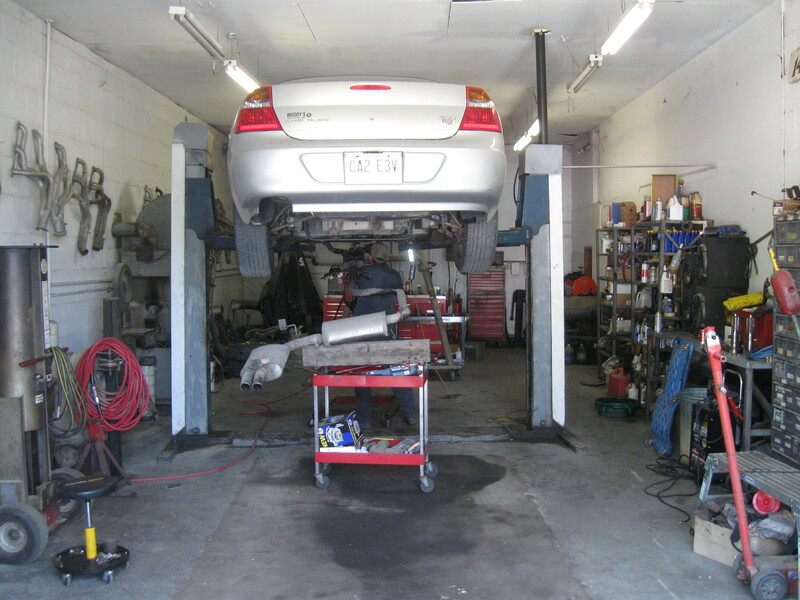 Auto & Truck repairs are done at our garage. You never know when you are going to have a need for a wrecker service or vehicle repair and, or maintenance. At Brinkley’s, we strive to provide excellent workmanship and customer service. We accept payment by EFS Checks, Com Data, Fleet One & T-Check Systems. Proudly serving Suffolk, VA and the surrounding areas. Brinkley's Wrecker Service LLC is a towing and wrecker service located in Suffolk, VA. For complete auto and truck repairs for light, medium, and heavy duty trucks, speak to our mechanics today. We offer emergency service around the clock and will tow your vehicle anywhere within our range. Stop by our location today for a vehicle repair. Towing and road services available 24-7.